We all frame and we all reframe because this describes how we think, represent information, use language, and create meaning. Initially, we frame because our minds do the work that “minds” do (i.e. process information, reason, draw conclusions, etc.) by using frames-of-reference. Whenever you think, you refer to something and reference other ideas to make sense of it. Think about anything, and we automatically, quickly, and unthinkingly set it in some frame. By framing, we establish the classes and categories by which we then think. Without such framing, we would not know how to even think about something. We frame by defining, associating, remembering, and using various reference points. Any manager thinking about a new hire, an end of the year appraisal, brainstorming a new project, or a celebration for a successful project, thinks about things in terms of other things. We think about things using various measurements, references, concepts, and considerations. These things determine how we think about things. Swiss watchmakers used to control the market for watches. They thought of those watches as mechanisms with gears and springs. If you wanted to make quality watches, that was how you made them. Joel Arthur Barker in Future Edge tells about Swiss watchmakers first learning about electronic quartz watches, developed in Switzerland’s Nauchatel research institute in 1968. But they dismissed the new kind of watch. The new watches didn’t have what all watches have-gears and springs. As a result, by 1981, the Swiss had lost 50,000 of their 62,000 jobs they had in that industry in 1968. Why? Because, unencumbered with the Swiss frame of reference, the Japanese had taken to making electronic quartz watches and had captured the market. 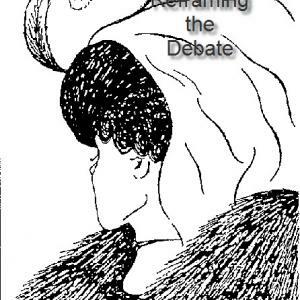 Can you see the two images on this classic drawing? As a manager, what frames have you set in your business with regard to production, quality, handling disagreements and conflicts, customer service, pay raises, operating as a learning organization, staying current with the ever-changing markets, etc.? What frames do you operate from as a manager? How do your frames help or hinder you in terms of your own creativity? Most people don’t have an immediate answer to these questions. That highlights a very powerful and profound aspect of frames, namely, their invisibility. Their very invisibility, in fact, gives them their power. As with the example of the Swiss watchmakers, this invisibility can not only make it impossible for people to meet the changes in their markets creatively, it can rob them of the ability to even perceive those changes. The Swiss had suffered from frame blindness. Trusting in their frame of reference as more than just a way of thinking, they had taken their perspective, their mental mapping as the same as “reality.” Knowing full well what a watch was, how to make it, and framing these thoughts with higher level confirming thoughts (“We have history on our side as proof.”), they could not see the change abroad in their field. We reframe when we shift how we think about something and use a different reference structure. Then we put a piece of experience or information into a different classification or category. We look at it from a different perspective. This initiates creativity as we create a new point of view about things. 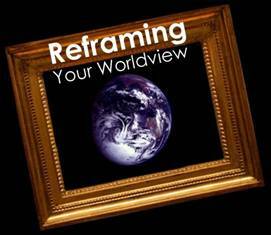 Reframing creates new frames and so brings new ways of looking at things into existence. Poor reframing merely calls something by another name, but nobody believes it. Much of the “spin-doctoring” that goes on in politics, education, news reporting, etc. these days seeks to shift perspective (hence thinking, understanding, feeling, and responding), yet fails whenever the reframing stands out as too obvious. When it calls attention to itself it fails. Powerful, elegant, and transformative reframing occurs when we reclassify a piece of behavior, experience, or emotion in such a way that it makes even more sense, and, when it leads to much more effective thinking, feeling, and acting. Our first frames come from our first experiences and learnings. When we first encounter “work” we use that experience as our frame-of-reference for how to think about it later. If we had experienced “work” as something fun, productive, an expression of creativity or personal power, we would then use that original reference experience as our frame of reference for thinking about work thereafter. If we first experienced it as a punishment, an intrusion into our time, as dull and boring, as a necessary evil, etc., we would have that as our reference. Reframing involves the process of re-structuring how we represent and think about something. As it provides a new reference structure or experience, it invites a whole new range of responses into existence. Experiences become references, and references then operate as our frame-of-references. We then use it to determine how to make meaning of things. This explains the formative influence of the experiences that occur in work environments and that have occurred. We use them as frames. Experiences with previous employers, bosses, supervisors, managers, etc. set the frame for how we think about and relate to today’s management. The power that a manager has in communicating actually involves the power of framing and reframing. Skill in this area puts into the manager’s hands the tools for managing the conceptual atmosphere within which a business operates. In reframing, the manager works with the “mental models” of peers, bosses, and employees in order to create new frameworks for thinking. The ability to frame and reframe grows from the awareness that nothing has “meaning” in and of itself, but that meaning in the human sense emerges as a mental construct-a way of thinking about something. My colleague, Dr. Bob Bodenhamer, and I have written an entire book on conversational reframing (Mind Lines: Lines for Changing Minds, 1997). Deframing: pulling a piece of meaning apart. Reframing: reclassifying some action or idea. Pre-framing: setting up a frame ahead of time that establishes a perspective. Post-framing: setting up a new time perspectives from a future vantage point so that as a person looks back upon an action, it takes on new and different meanings. Outframing: stepping aside from a piece of meaning and setting a new and higher frame about the idea. Metaphorical framing: using story, metaphors, and non-propositional language to frame things using an analogous situation. Every frame controls what we pay attention to and how we order our attention. Every frame also controls how we feel, talk, and respond. So the Swiss showed no lack of intelligence, integrity, or acumen when they looked at electronic quartz watches. They perceived, understood, and felt about that according to their frame. Actually, it took intelligence to bring their frame “to bear upon” the new information because they had to check it out, compare it with their referencing system, and recognize that “it does not fit.” It also took integrity to be true to the governing frameworks and to say “No” to the new. What they didn’t account for was the frame itself. Their frame of mind that put them in opposition to the unproven, and untrustworthy electronic watches came from their frame of reference. It all worked perfectly well. Except they trusted their frame too much. They failed to creatively adapt to the new discoveries and the changing market the discoveries would generate. They didn’t creatively wonder about their frame. They took it so much for granted that they confused it with reality. Later, when “the territory” changed, they found themselves still operating from some old maps that no longer enabled them to navigate in the changing world. How do we avoid getting blind-sided by our frames? How do we use reframing on others and ourselves in creative, respectful, and elegant ways? I’d suggest we start by recognizing that we have and use many levels of the mind. We have a “mind” about whatever first level or primary level tasks and challenges before us. We have thoughts about people, events, markets, etc. These thoughts themselves create and set frames and might need reframing. We also have higher thoughts. We have thoughts about those thoughts (meta-thinking or meta-cognition). What do we think about our thinking? What thinking patterns have we brought to bear upon the first level thoughts? Do these serve us well? Do they close down our minds, make us rigid, dogmatic, etc.? And we have even higher-level thoughts about our thinking patterns. How could I be fundamentally wrong? What changes might radically affect this? What frames of referencing have I been using? What other frames of referencing could I use? Who or what might be setting a new frame for this field or market? Staying current and up-to-date most essentially involves having a flexible and adaptable frame of mind. To think in that way necessitates not over-believing in our mental maps, but recognizing that they are ultimate “just maps” and that as long as we live in a world full of change, we have to keep updating our maps. We reframe precisely because we find or create better frameworks for thinking and operating. And we engage in such reframing when that better frame creates new market possibilities that enable us to respond creatively . What do I think about the Internet? Web sites? Cyber-cash? What do I think about the state of a given market? What do I think about current and coming changes? We enrich and expand our mental flexibility (and hence creativity) as we recognize that we inevitably frame and reframe things. That occurs at the primary level of experience. It concerns what we are thinking about. We shift this to an even higher level when we apply the same creativity to our reflexive thinking. This means we reframe our own framing with a willingness to stay current, run a “Quality Control” on our frames to make sure they are enhancing our lives, and recognizing that every mental model that we adopt represents a dated and fallible map. Hall, L. Michael; Bodenhamer, Bob G. (1997). Mind-lines: Lines for changing Minds. Grand Jct., CO: E.T. Publications. Hall, L. Michael (2000). Frame Games: He Who Sets the Frame Controls the Game. (In press).